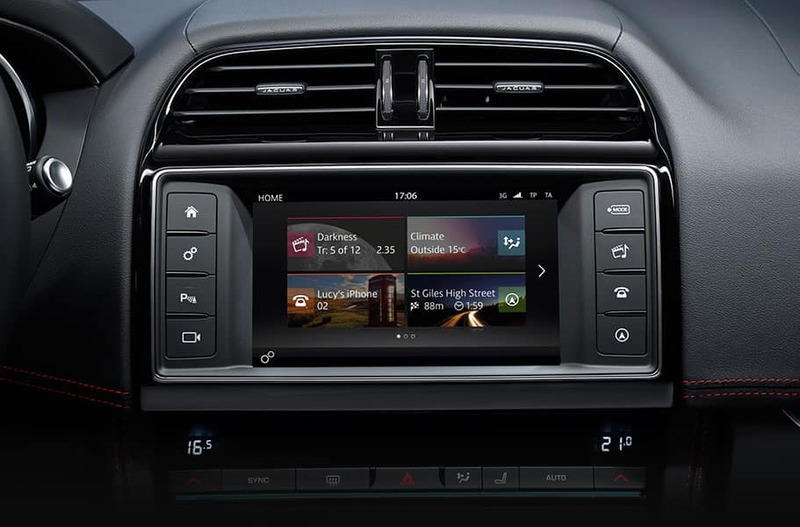 With the 2018 Jaguar F-PACE innovative InControl® system you are in control of your connectivity and entertainment features! The InControl Touch™ system puts connectivity, entertainment, and control at your fingertips! It is easy to see system commands thanks to the 8″ touchscreen. Use swipes and intuitive touch to control the vehicle’s features. Use the system to control climate, audio, and navigation. InControl Touch Pro™ adds even more advanced connectivity and entertainment features! That includes door-to-door route planning, Wi-Fi hotspot, and 10GB dedicated media storage. Add on InControl Protect™ for added security. This system provides SOS Emergency Call which can automatically alert relevant services in an emergency situation. This system can also transmit vehicle diagnostic info and vehicle location. Let the Jaguar experts at Jaguar Colorado Springs show you the exciting Jaguar InControl® systems today!